PSV youth academy product Otman Bakkal moved abroad in the summer of 2012. During his PSV period, he played on loan for Den Bosch, Eindhoven, Twente and Feyenoord but his contract in Eindhoven expired in June 2012. 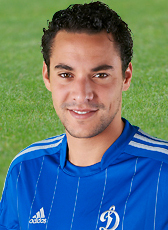 The attacking midfielder moved to Russian giants Dynamo Moscow on a 3-year contract until 2015. The former Holland U21 international made his senior debut in November 2009, his only cap so far. At the end of August 2013, Bakkal and his club decided to cancel their contract due to an unsure future at the Russian club. The midfielder returned home and returned to his former club Feyenoord. Bakkal retired at the end of March 2016.